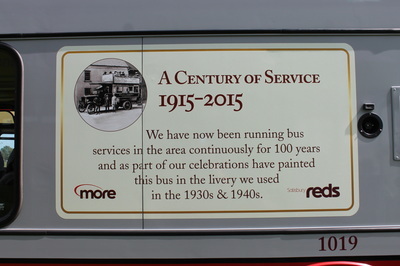 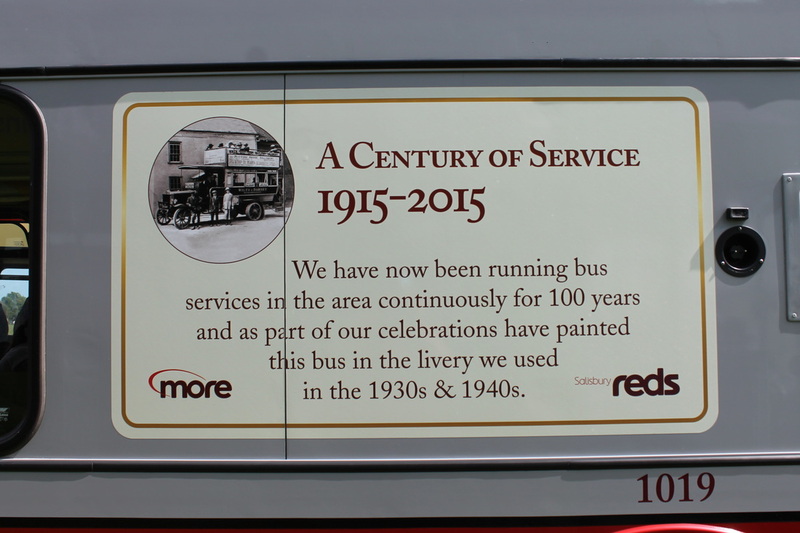 Incorporated during the height of the First World War, Southdown Motor Services will reach its 100th birthday in 2015. 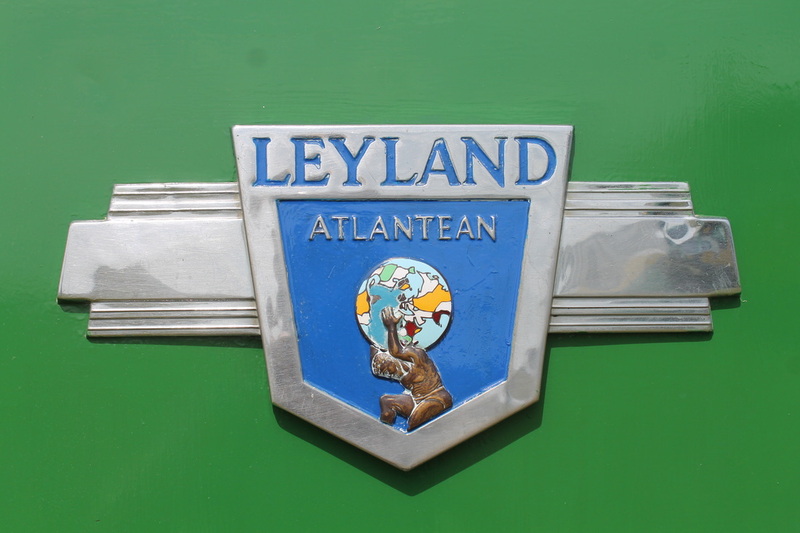 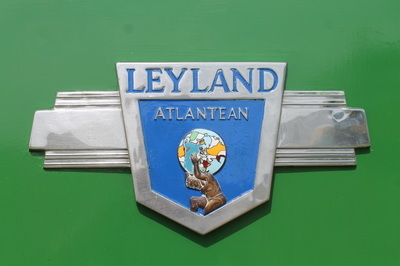 This legendary bus and coach company continues to evoke happy memories of pristine green and cream buses and coaches for enthusiasts and residents alike, whether from the dense network of bus routes from Hastings in the east to Fareham in the west, or the hundreds of luxury coaches that every hotel in the land was proud to have parked on its forecourt. 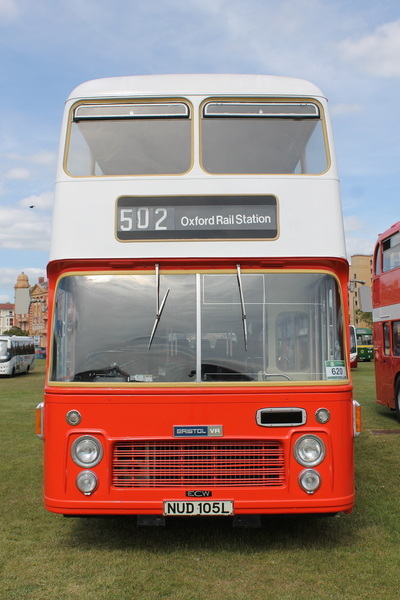 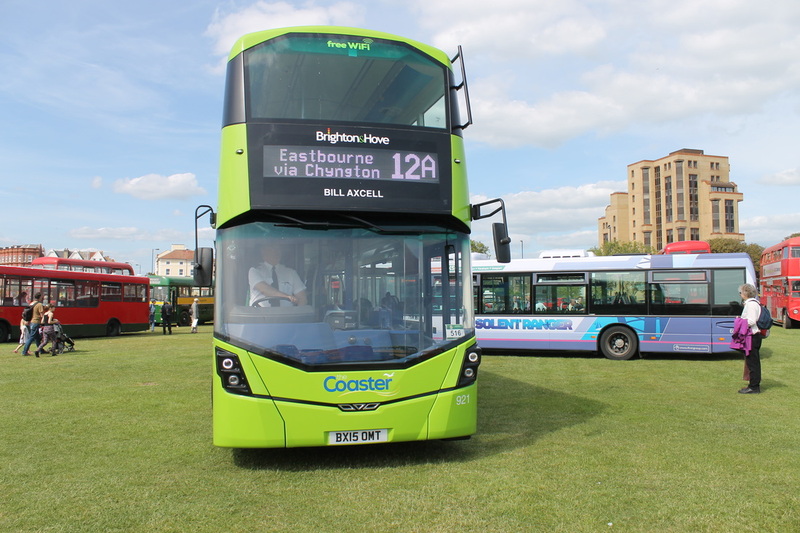 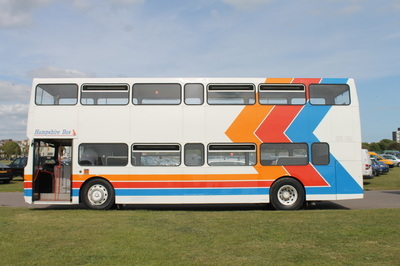 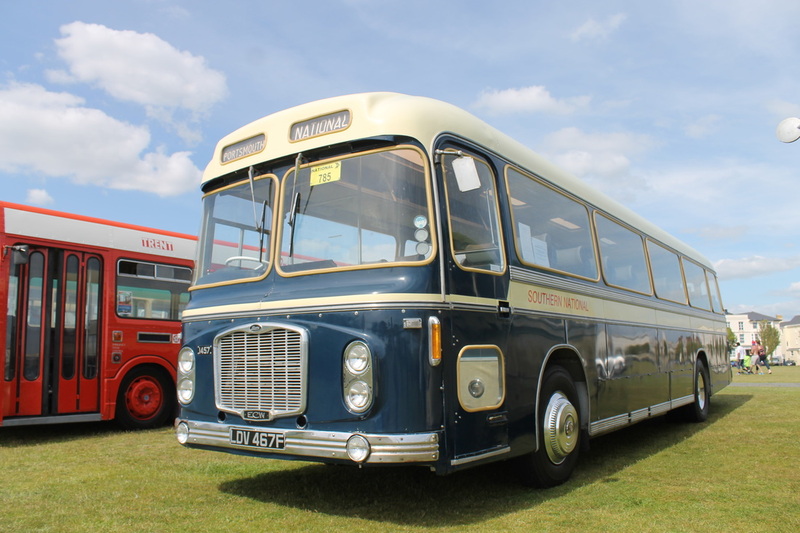 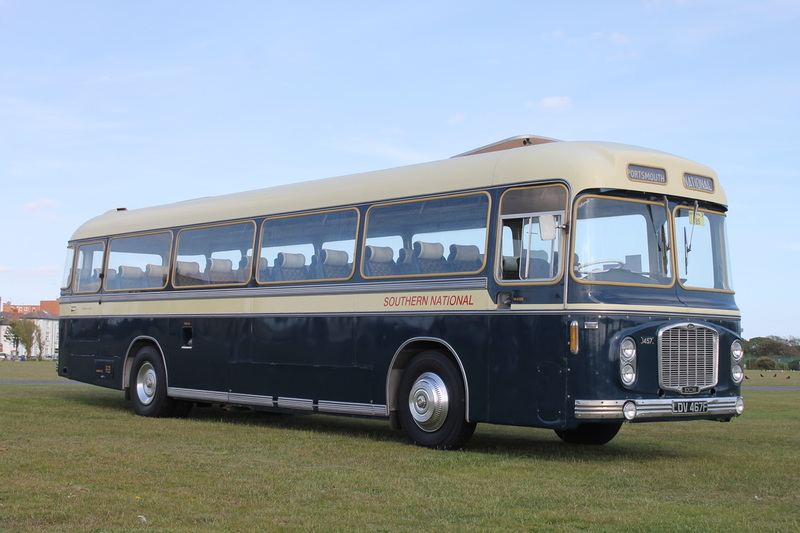 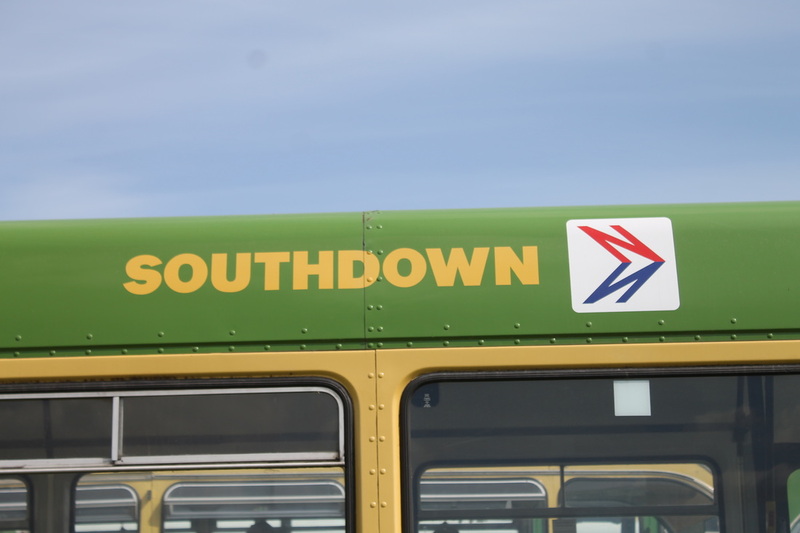 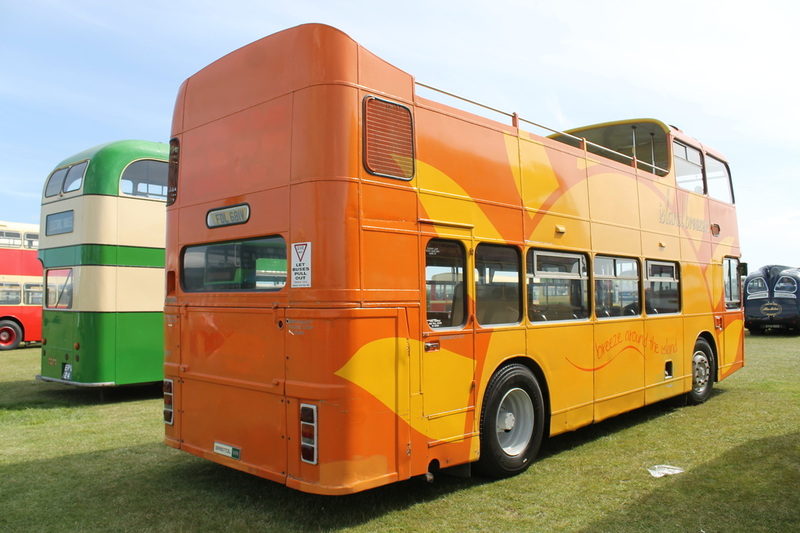 Today, Southdown lives on as part of the Stagecoach Group, which continues to run the iconic marathon Portsmouth to Brighton 700 'Coastliner' route, and still uses the original SMS bus depots at Chichester and Worthing. 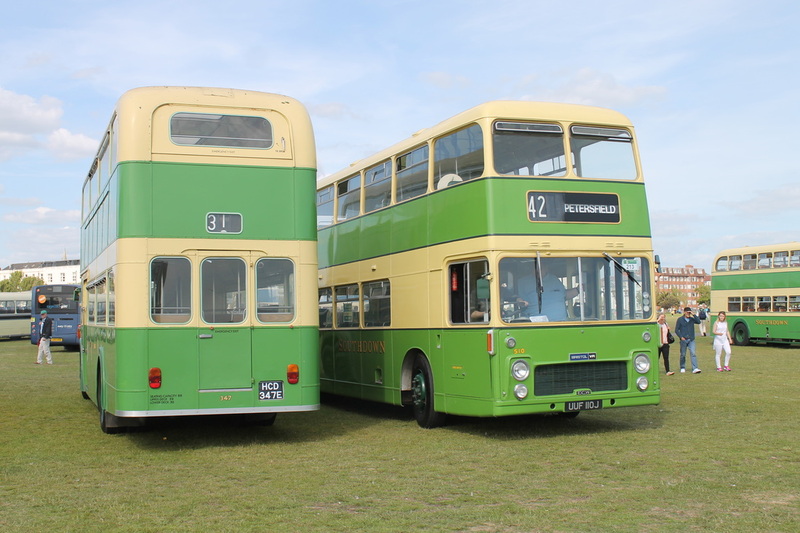 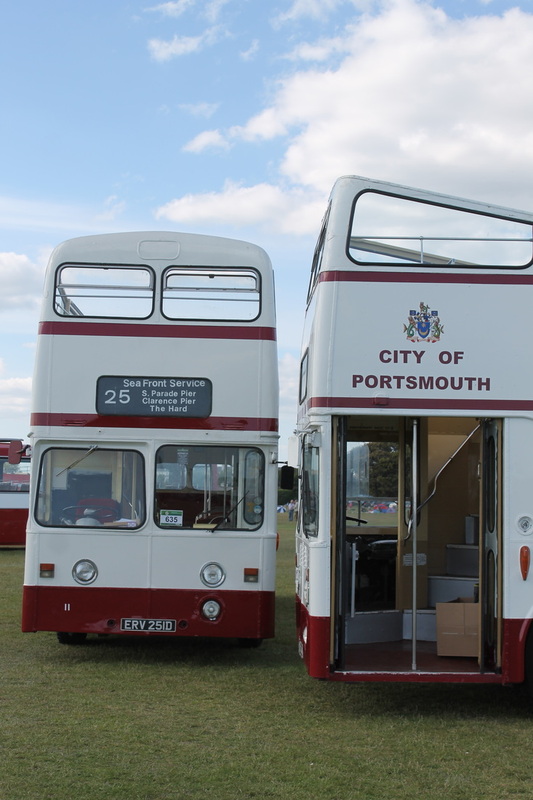 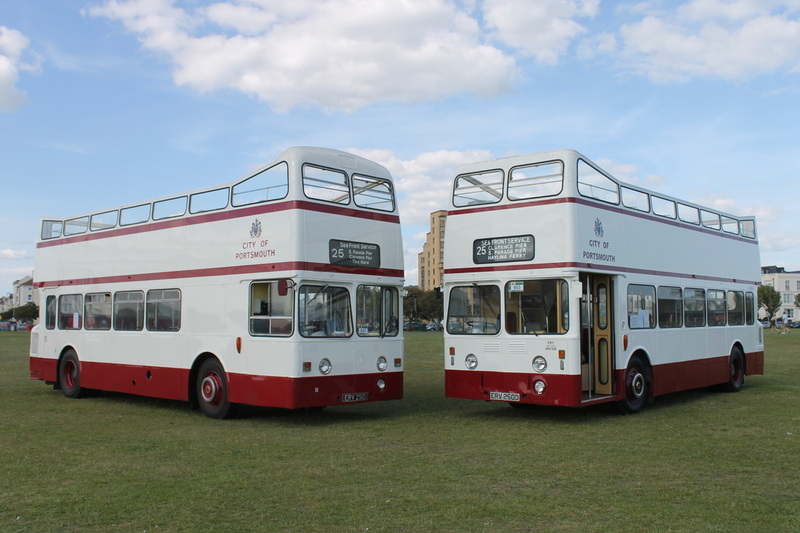 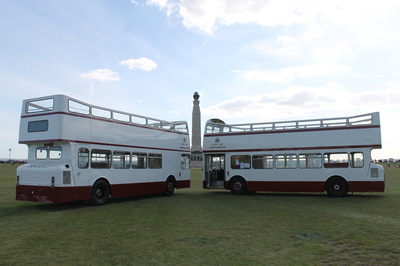 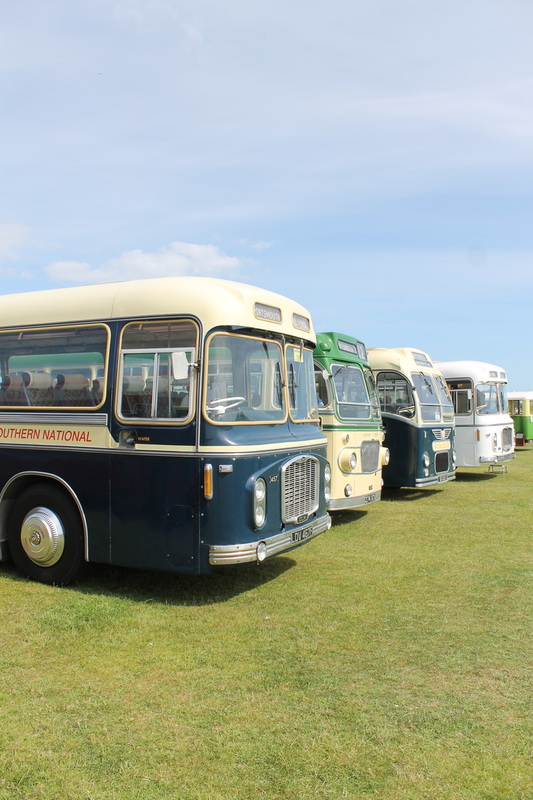 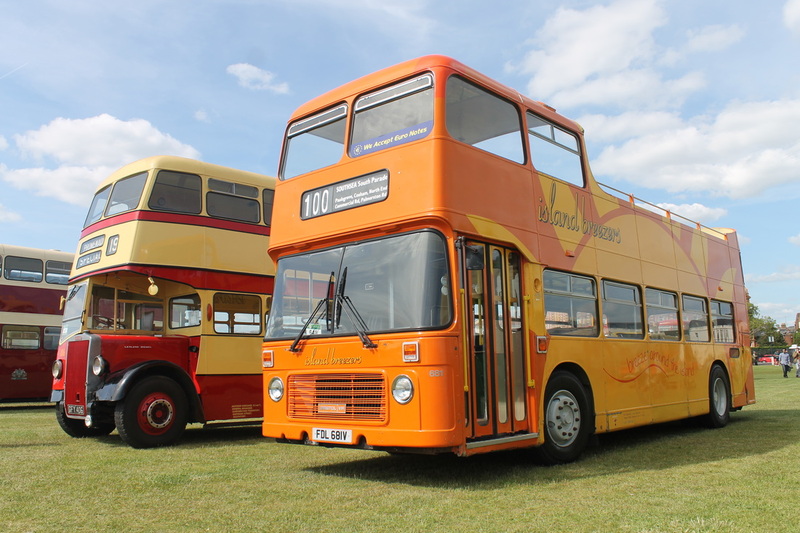 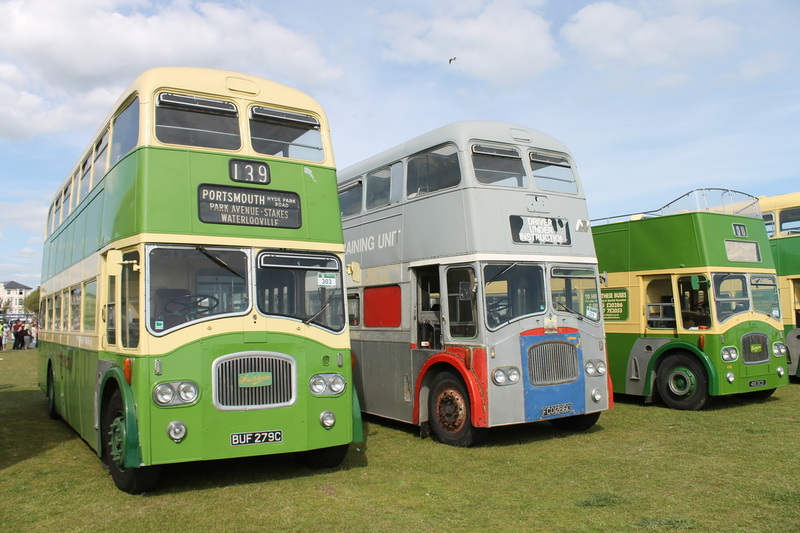 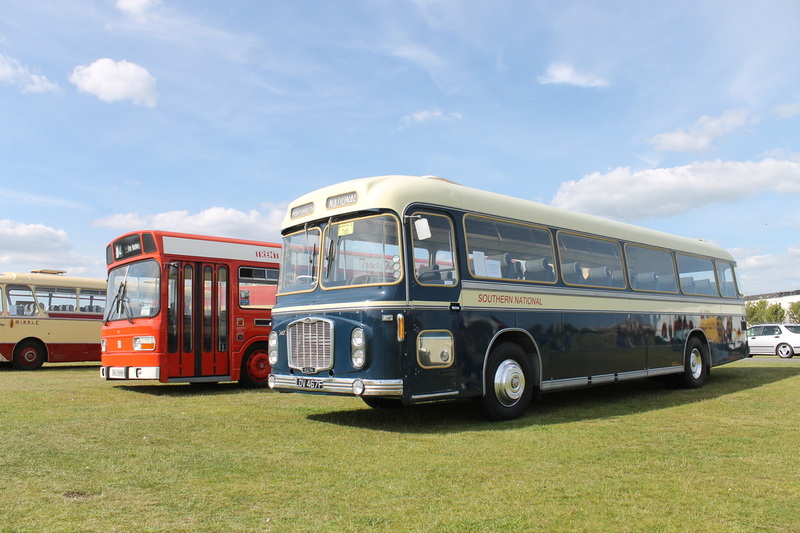 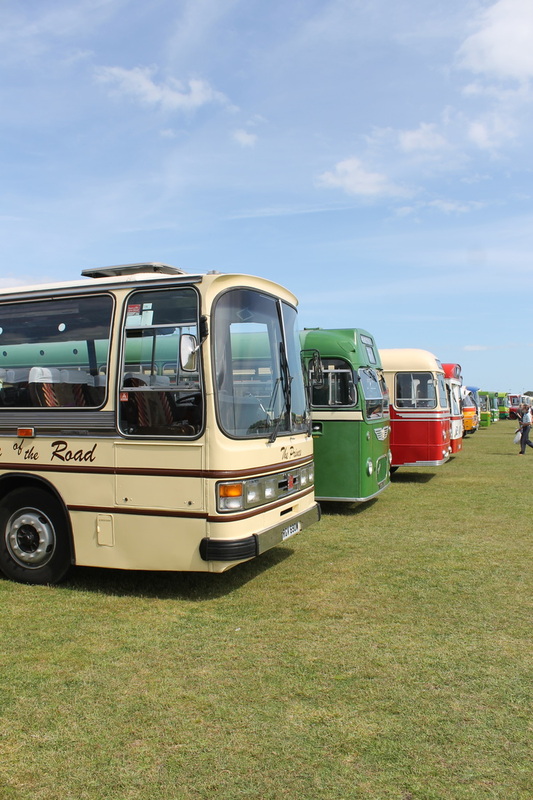 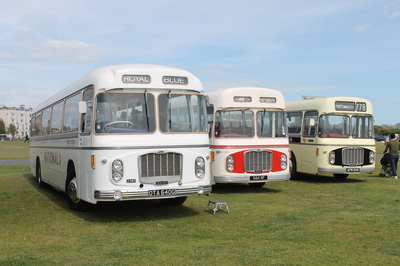 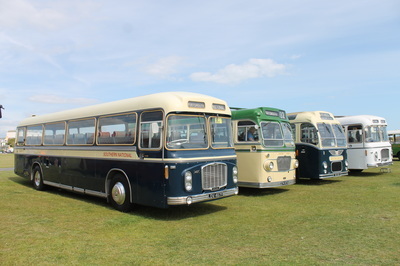 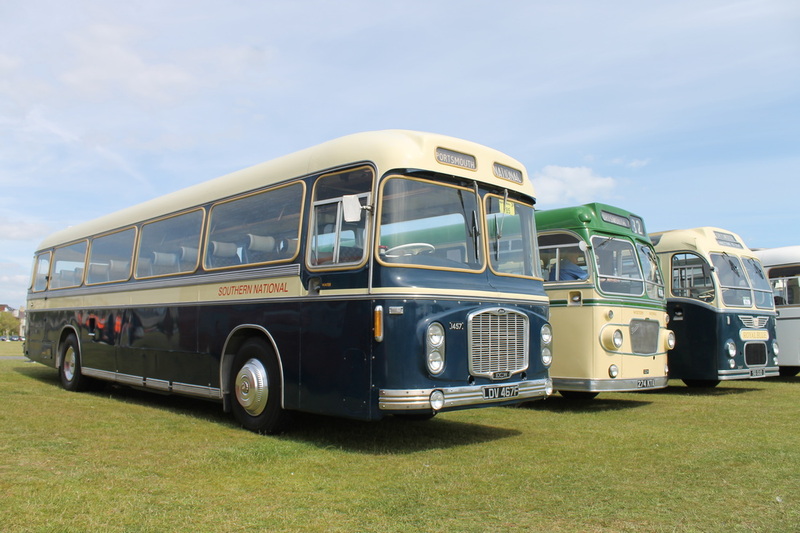 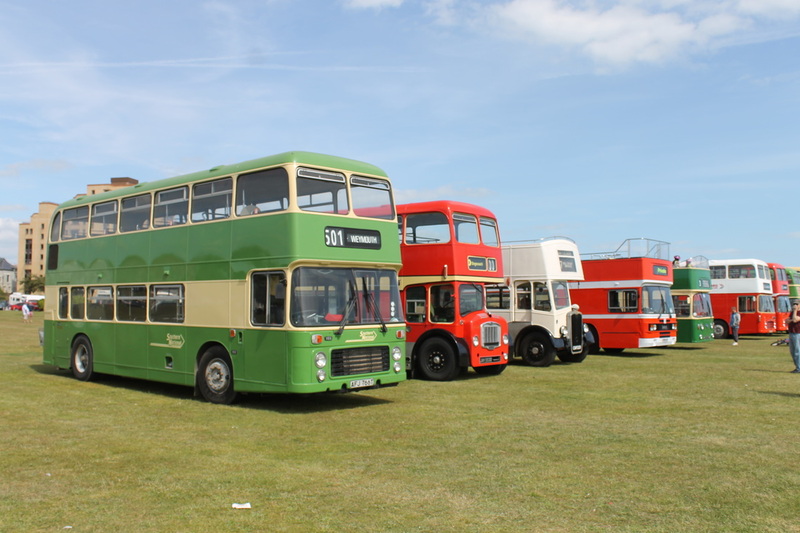 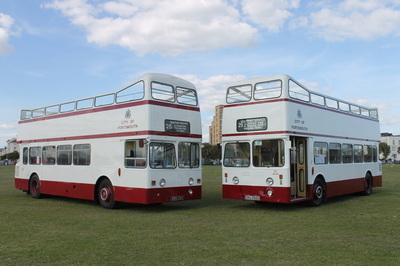 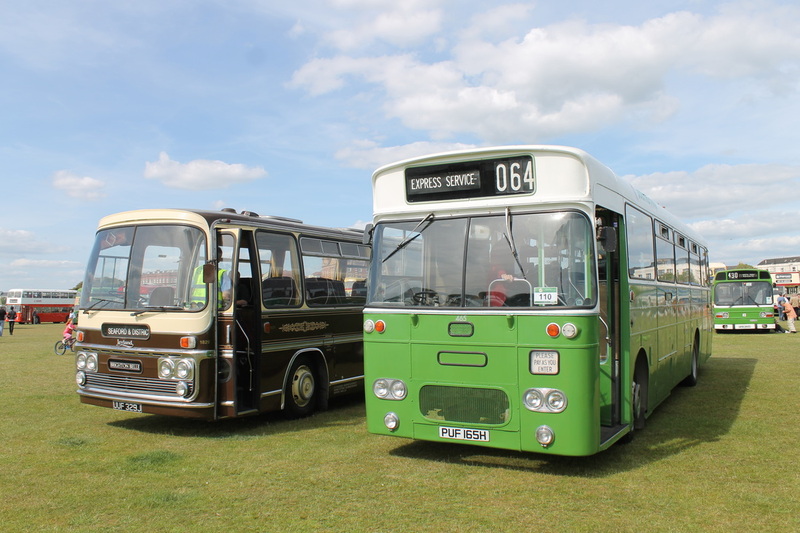 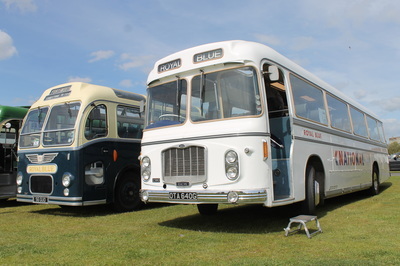 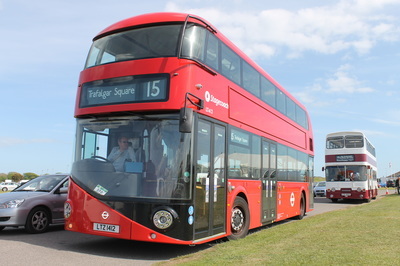 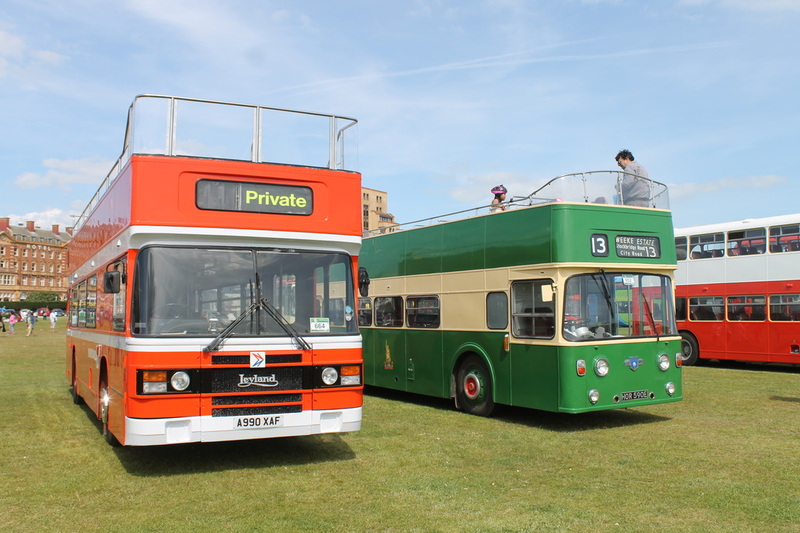 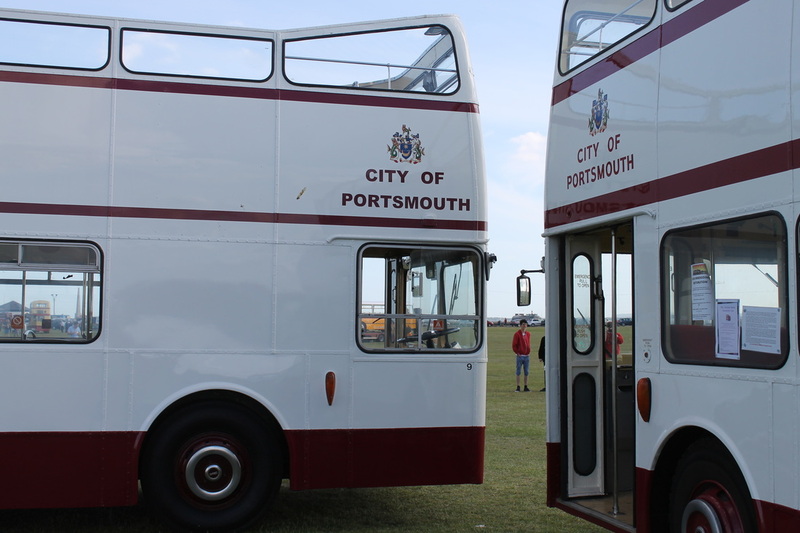 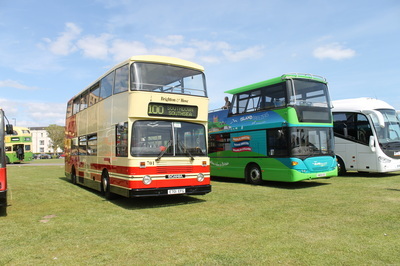 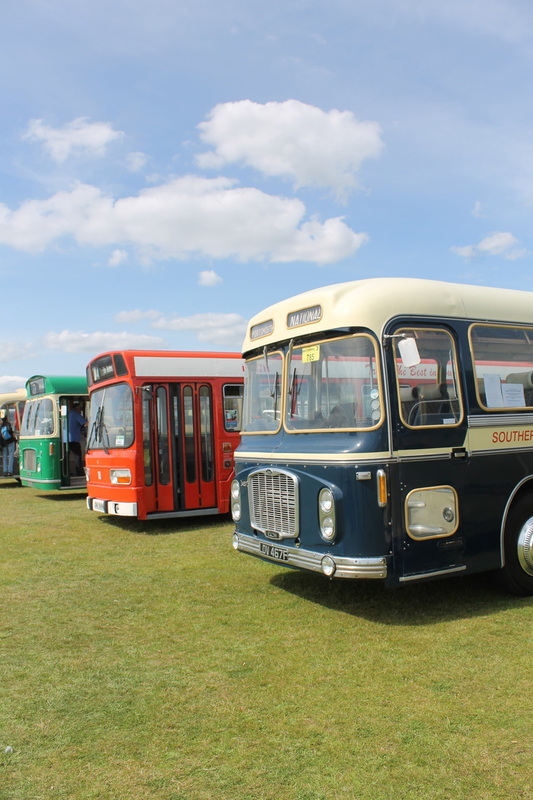 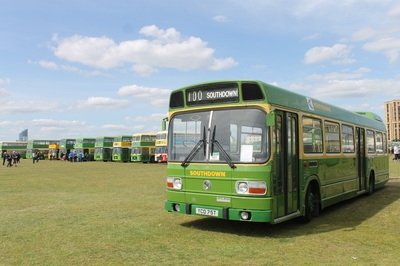 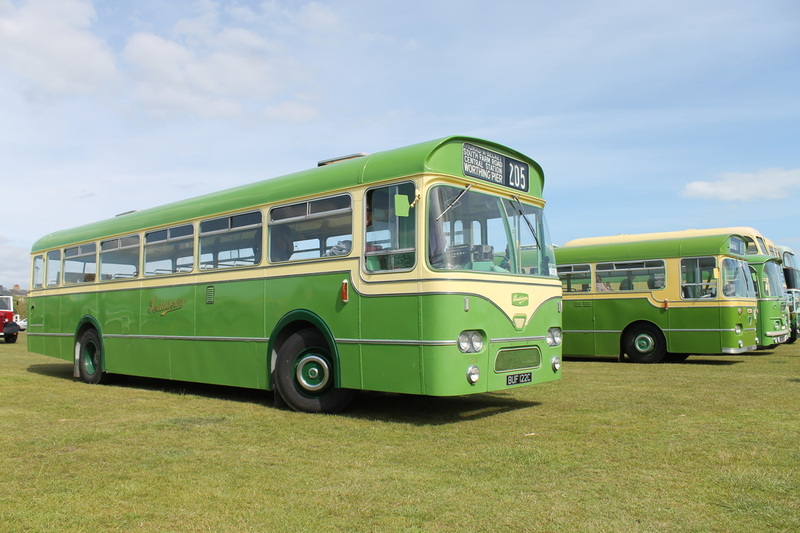 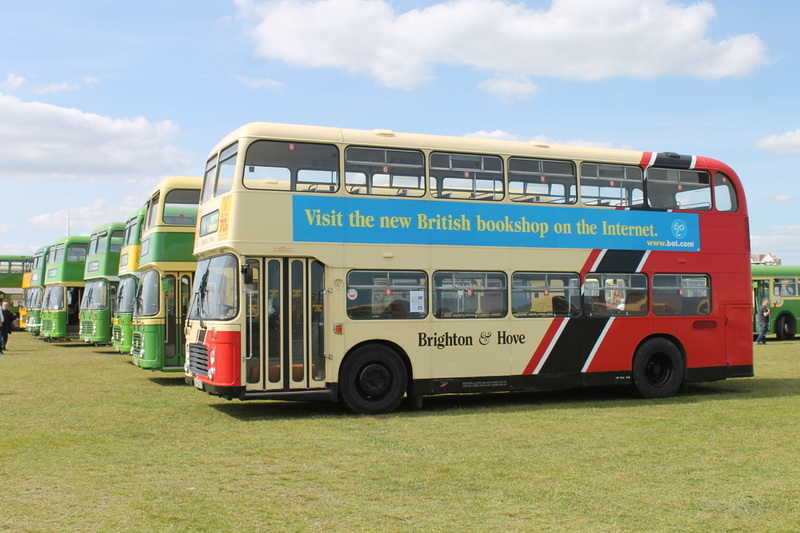 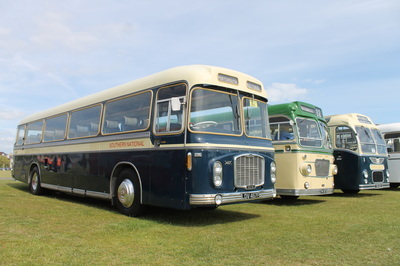 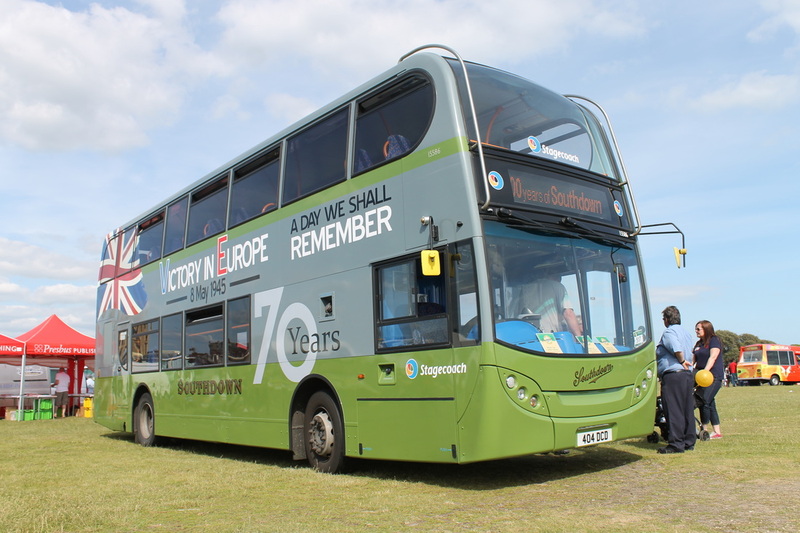 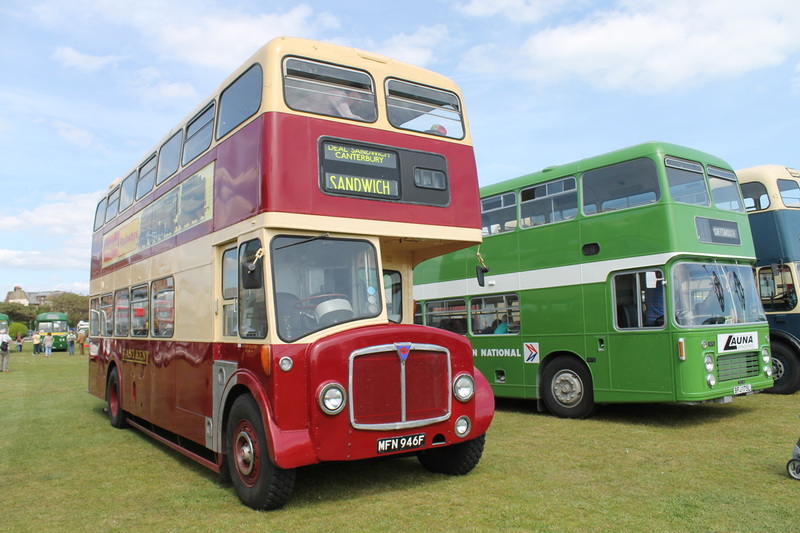 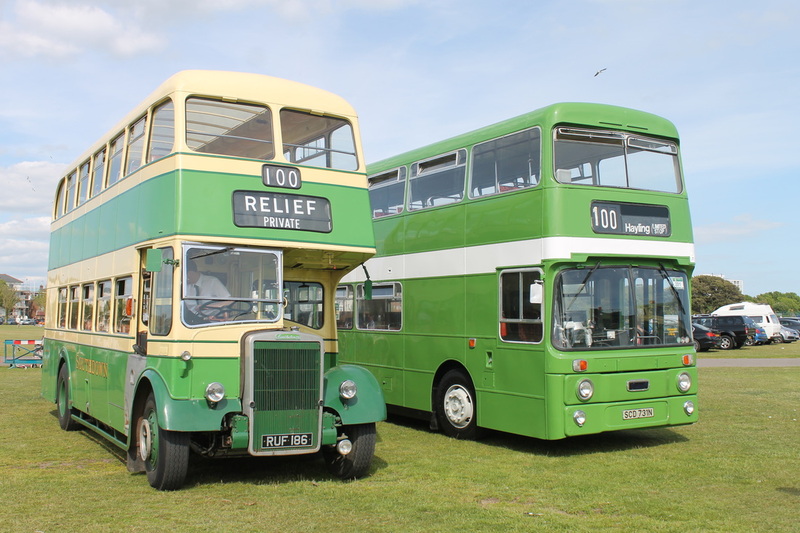 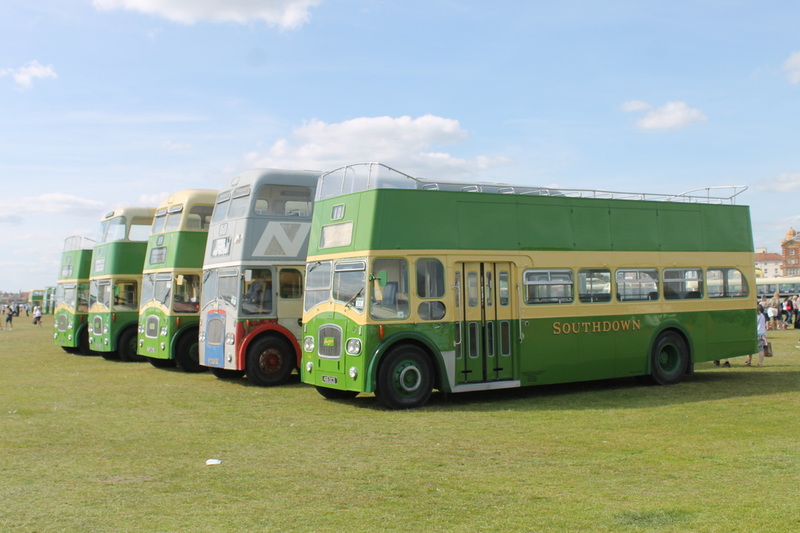 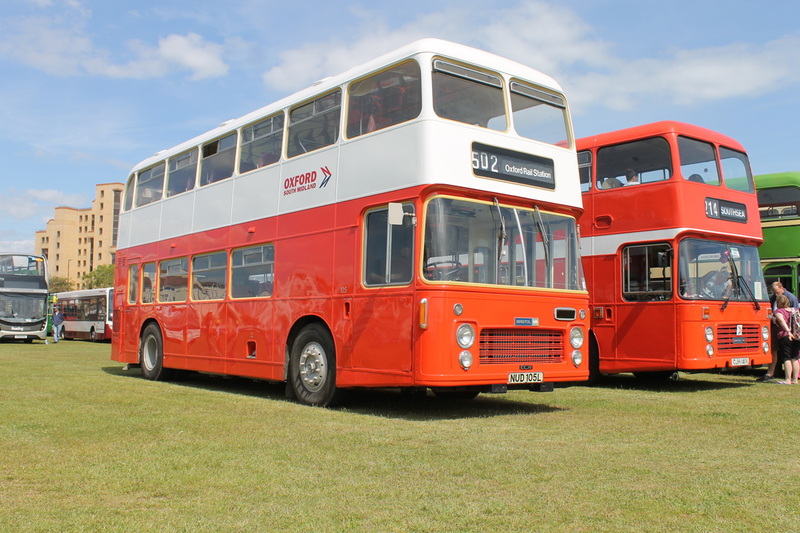 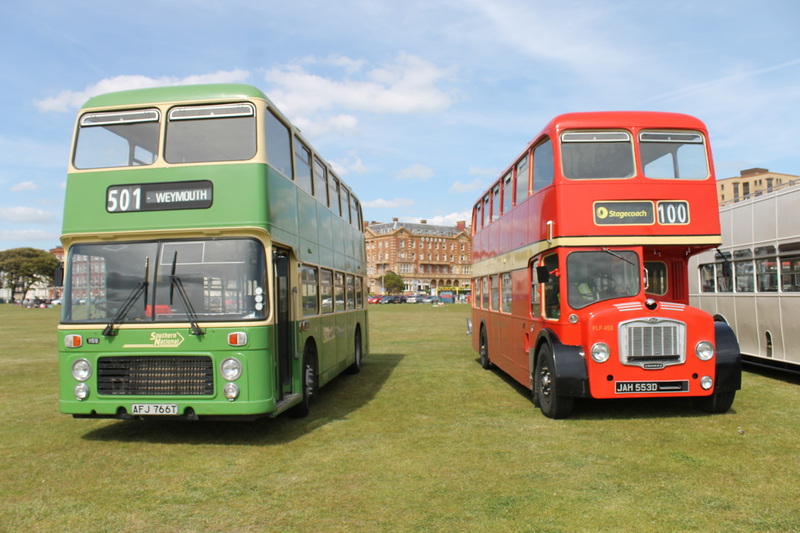 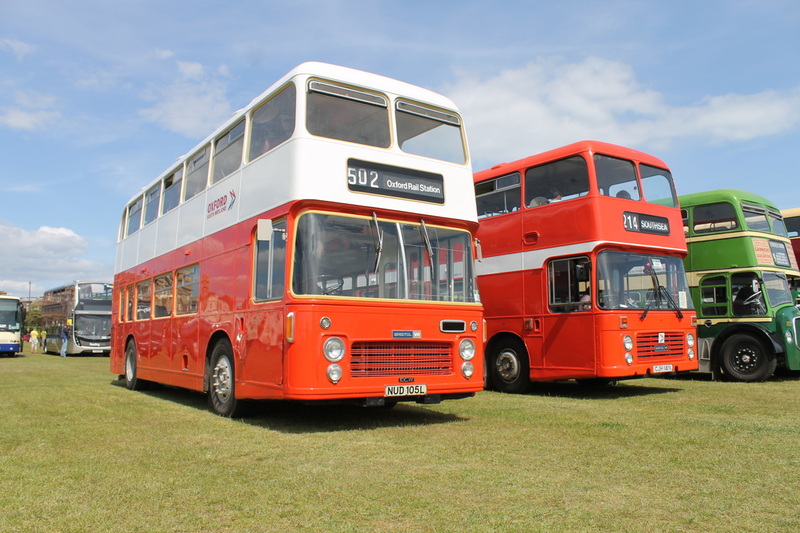 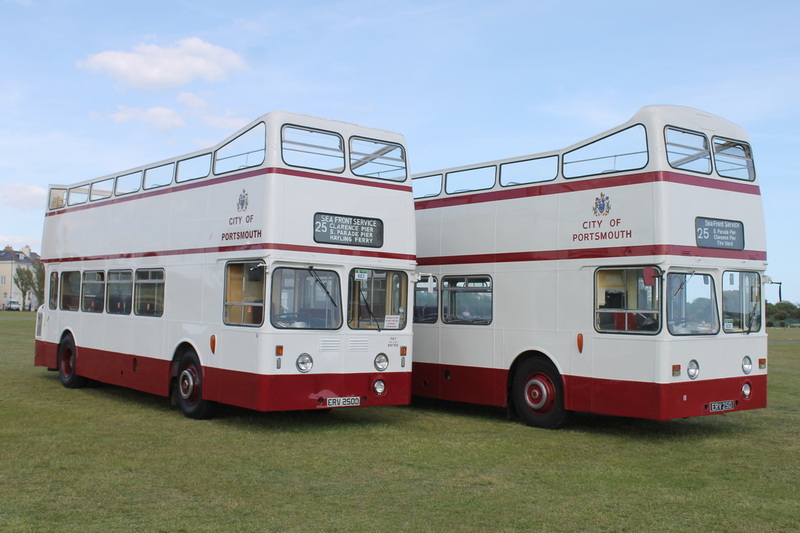 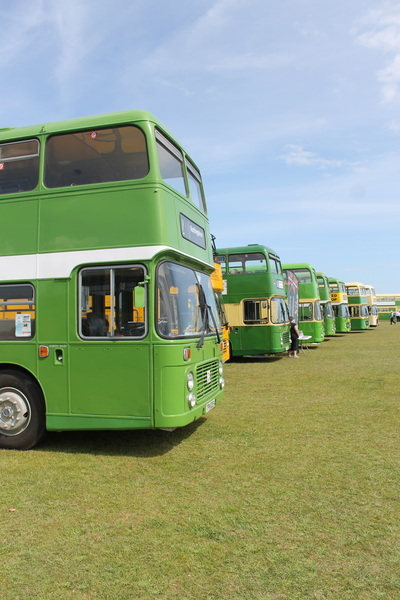 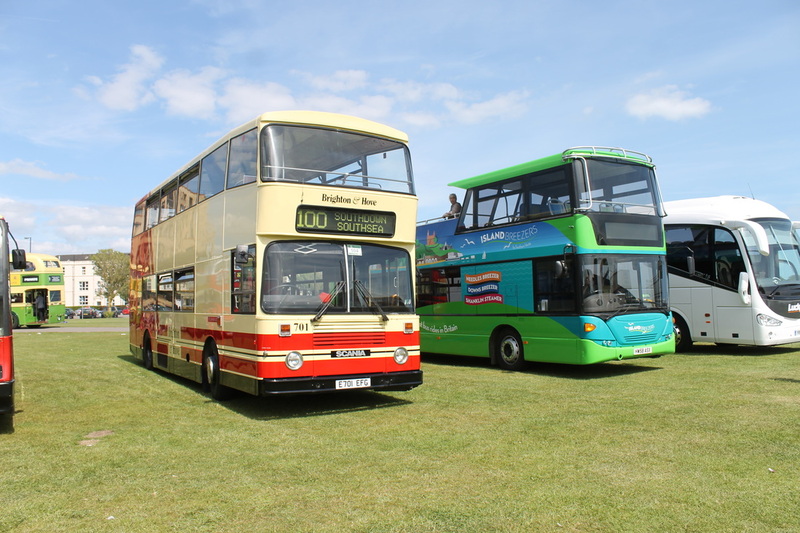 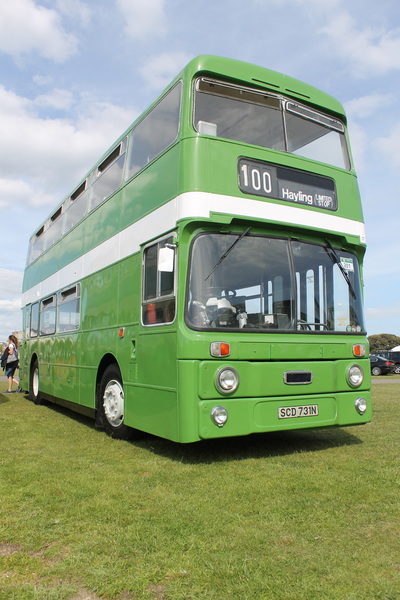 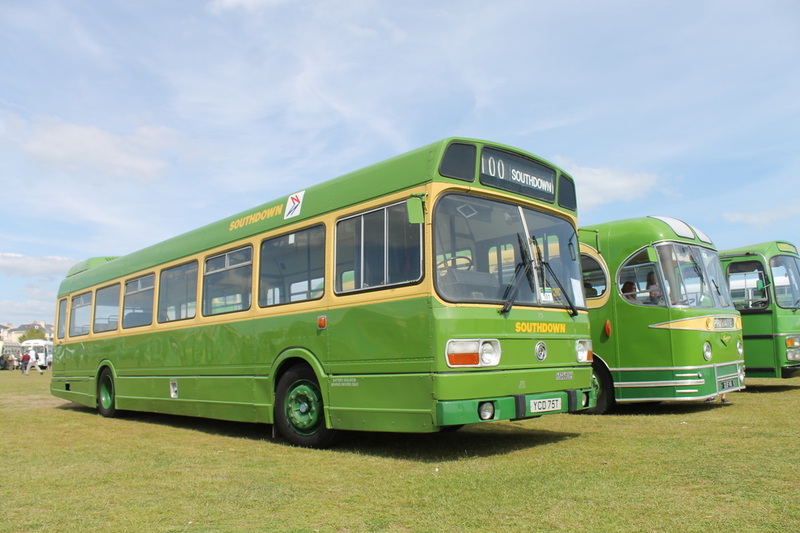 To mark this very special occasion, the Southdown100 Group held an ‘official’ celebration of the 100th anniversary of Southdown Motor Services which took place on Southsea Common, Portsmouth on Sunday 7th June 2015. 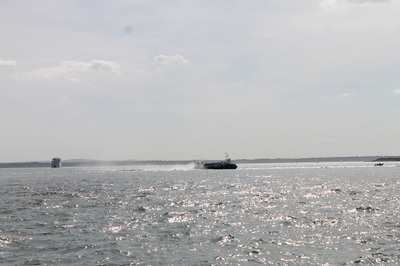 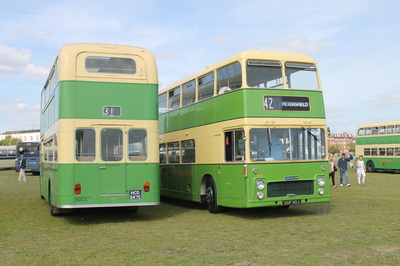 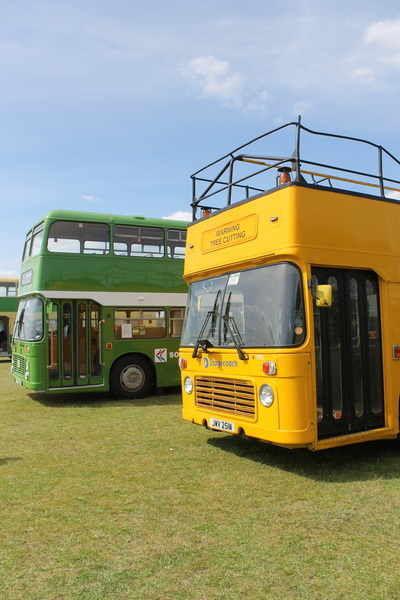 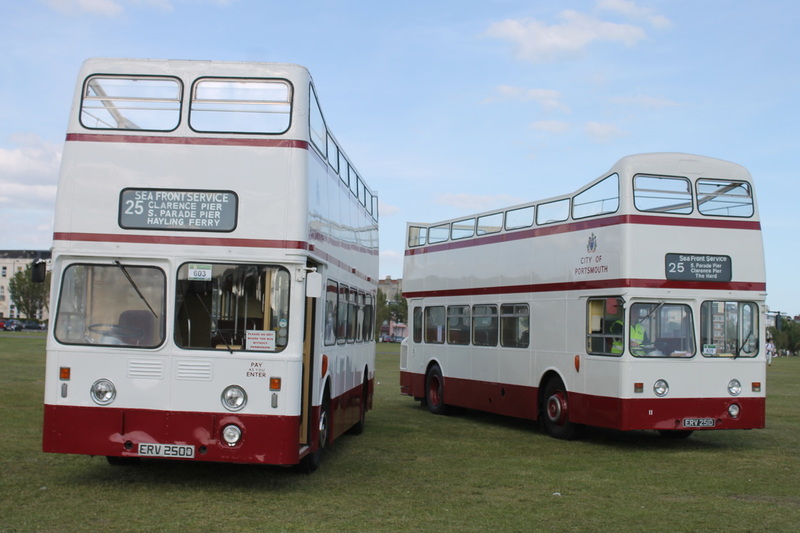 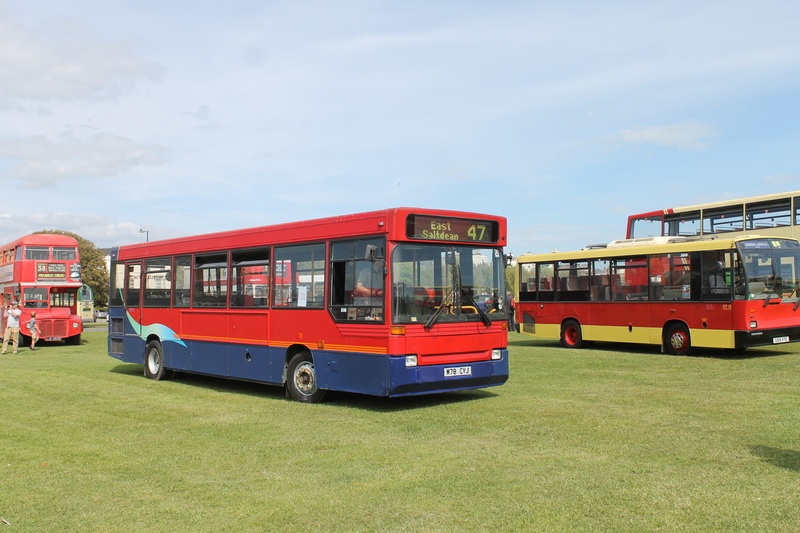 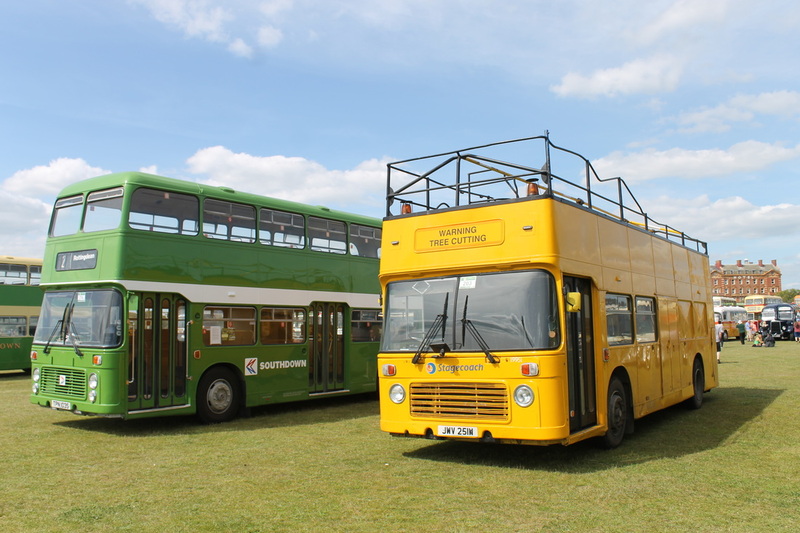 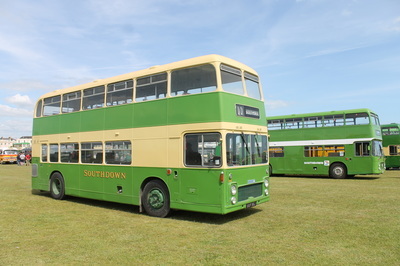 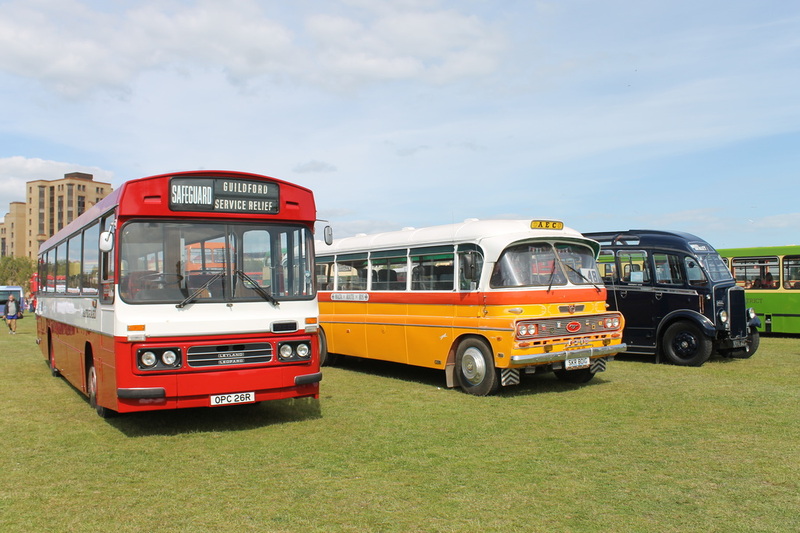 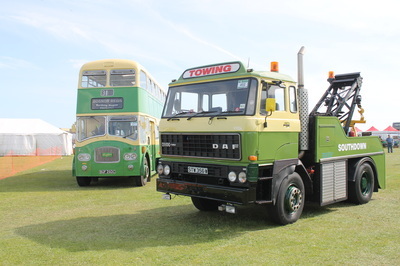 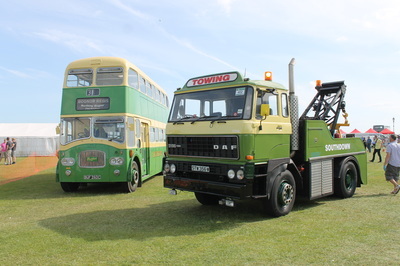 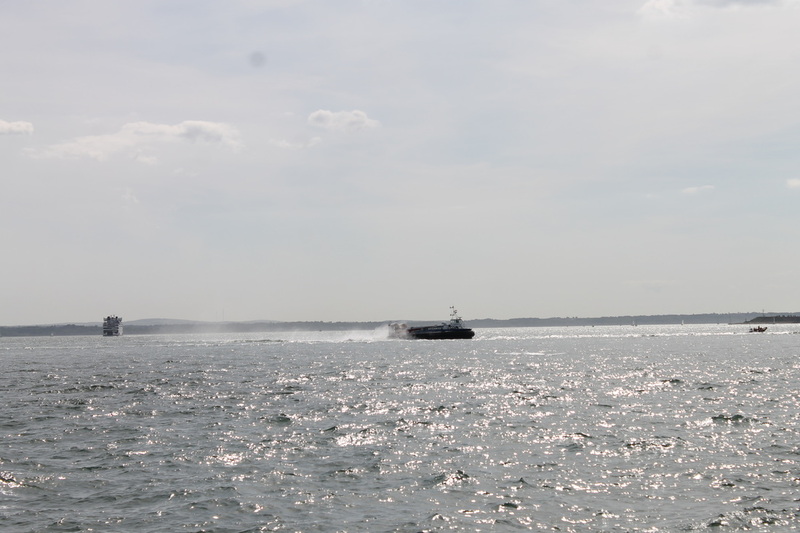 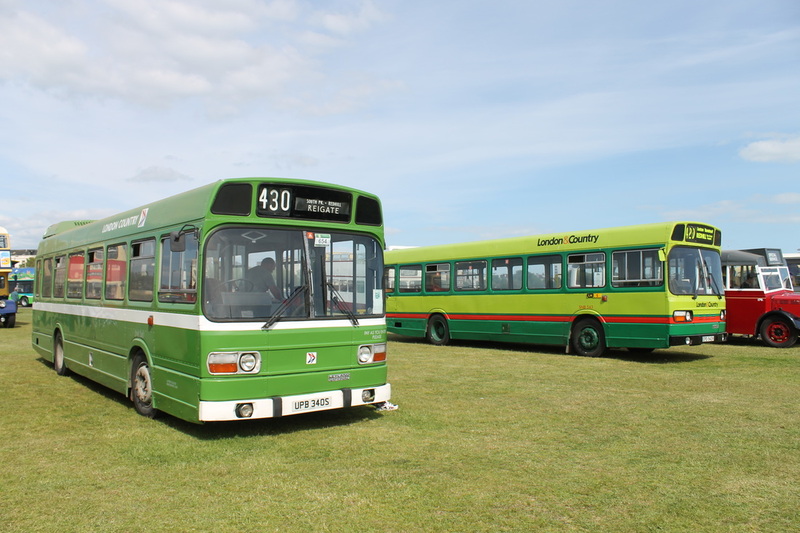 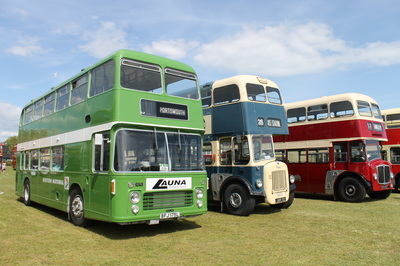 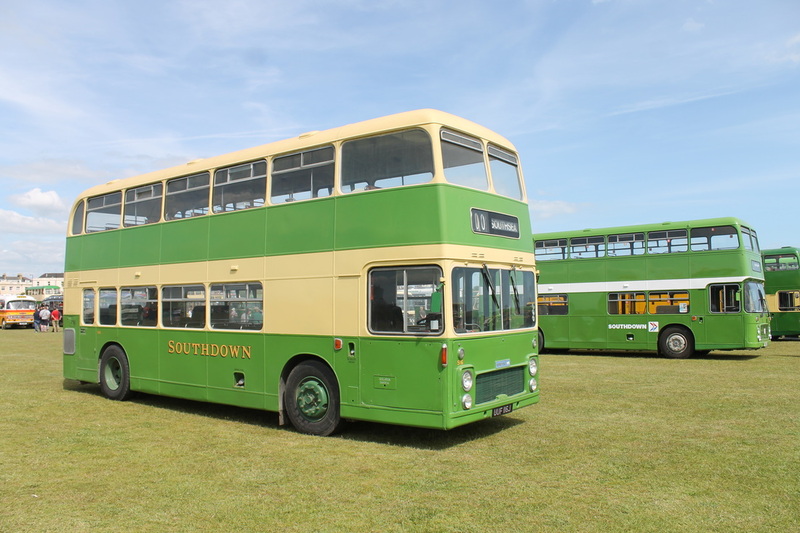 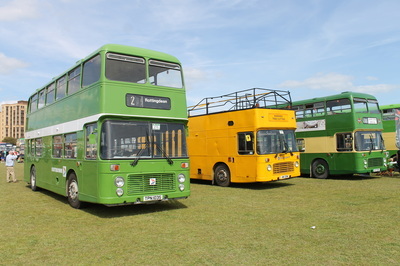 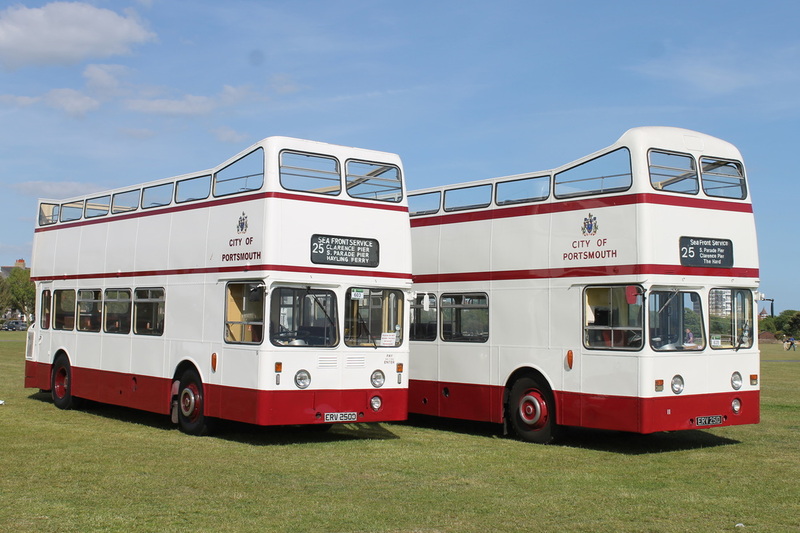 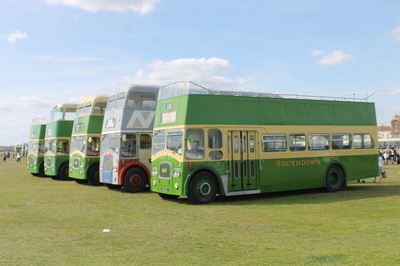 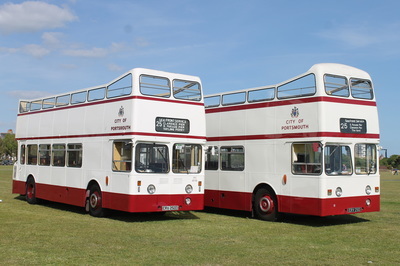 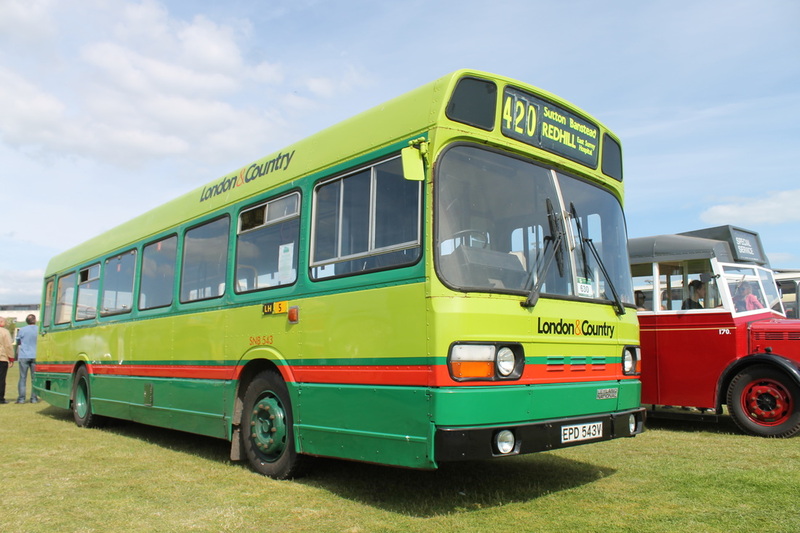 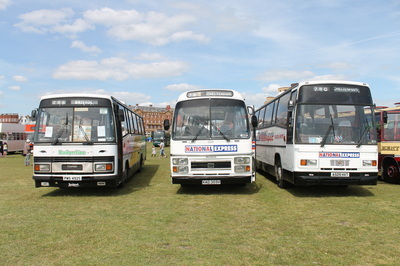 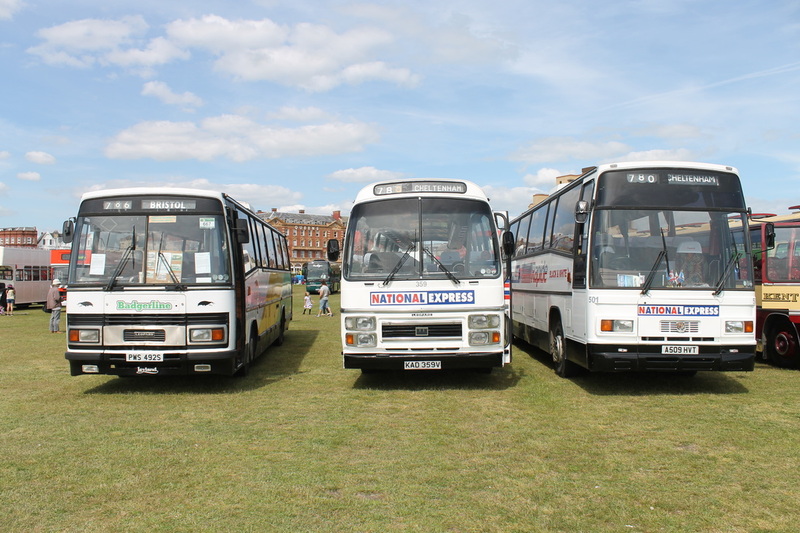 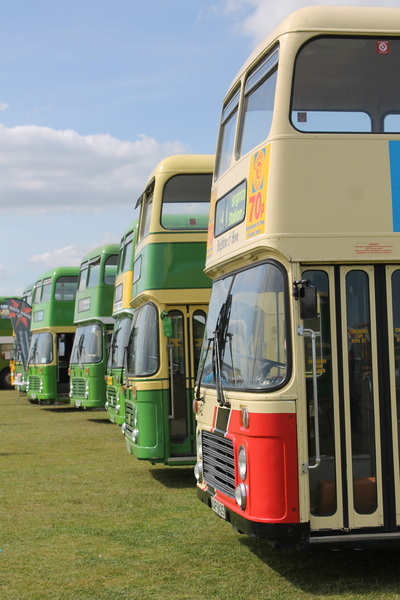 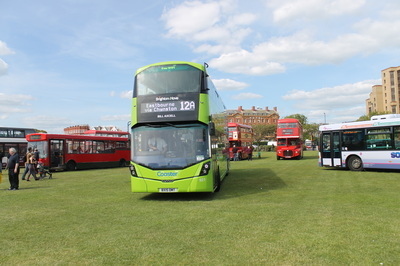 The event comprised of a large display of current and former Southdown vehicles along with those of other operators. 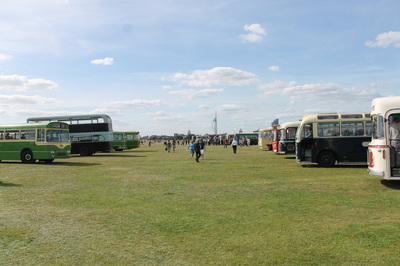 There were a range of stalls offering a wide range of different products. 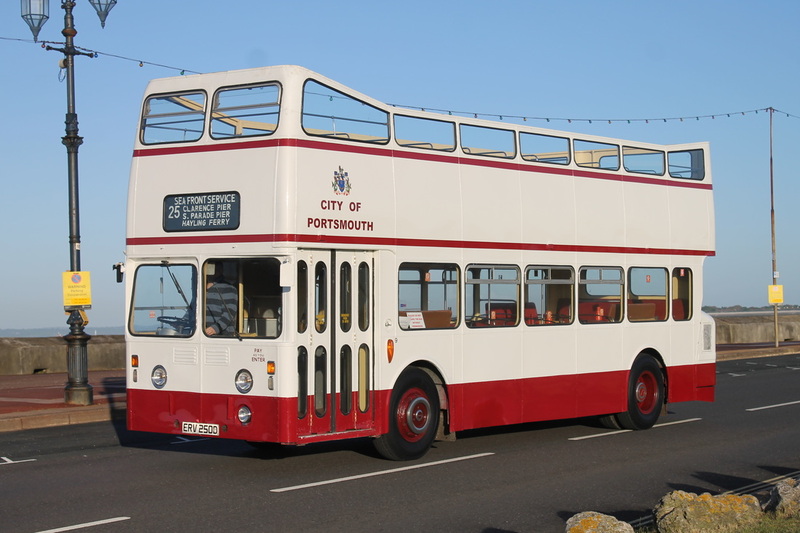 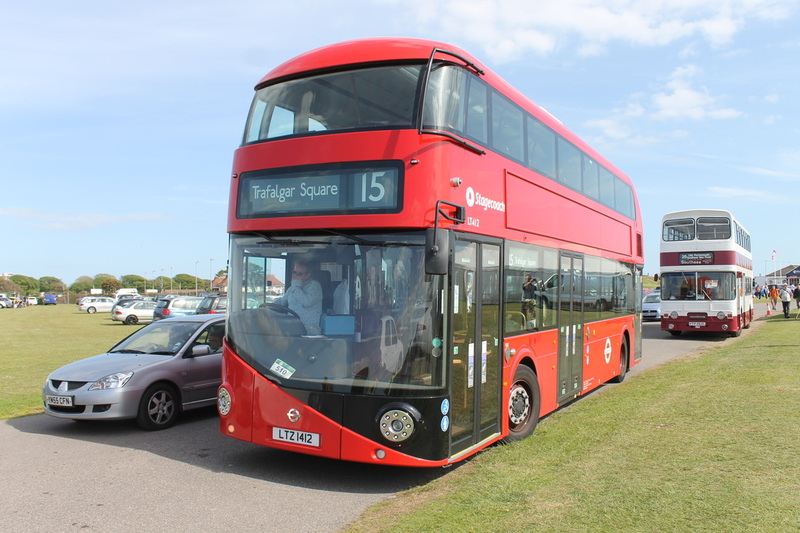 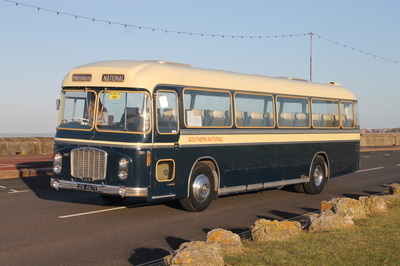 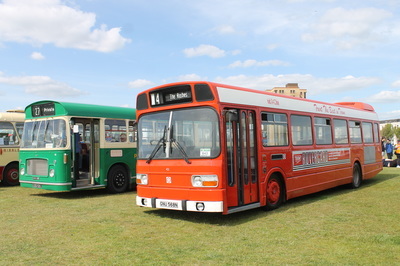 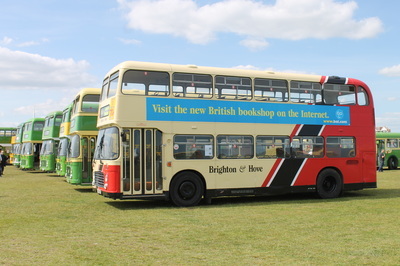 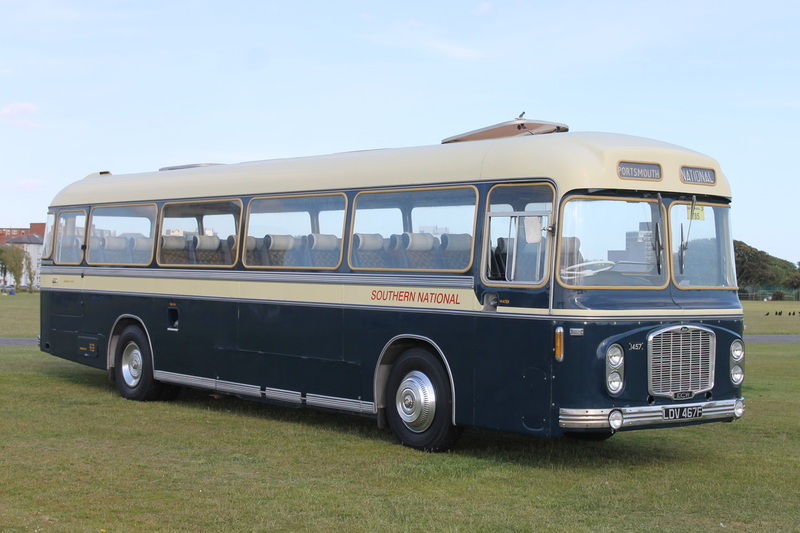 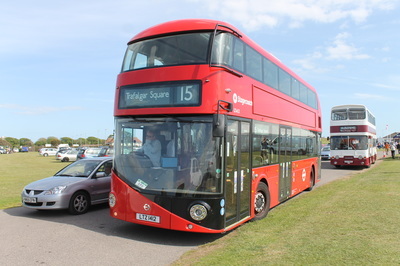 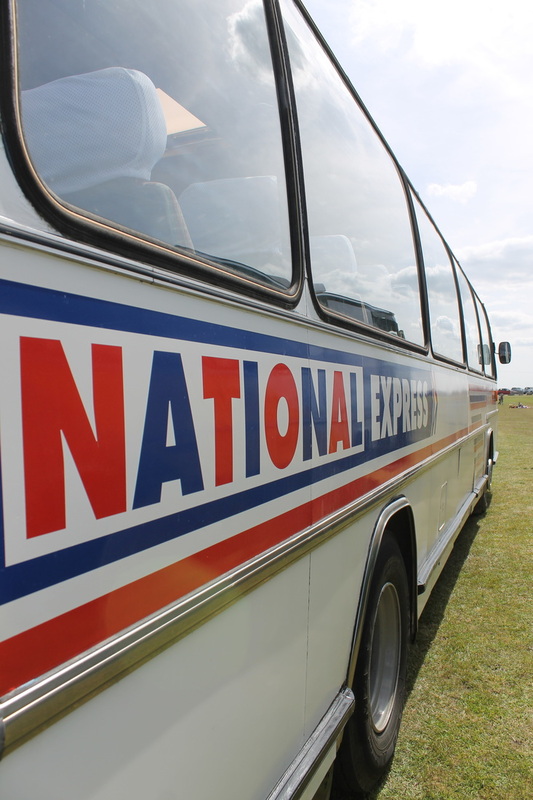 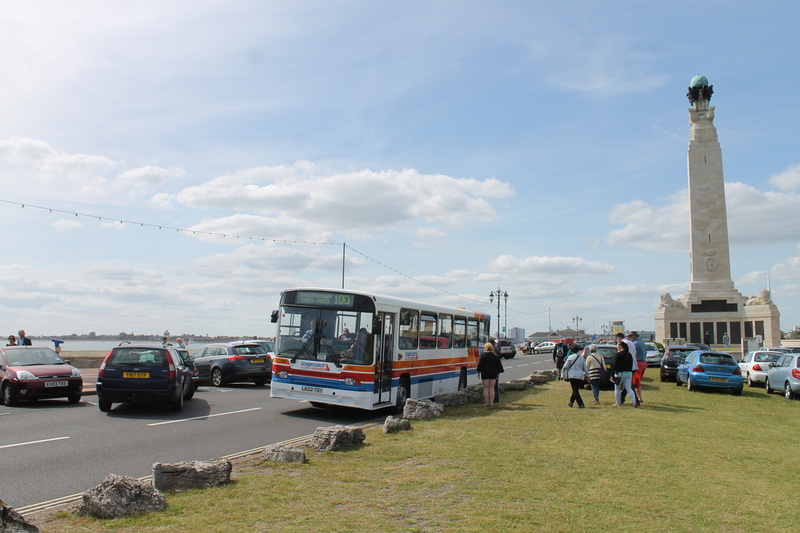 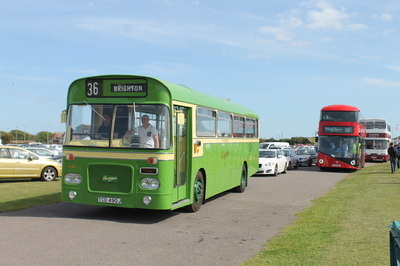 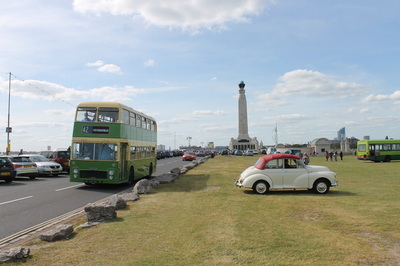 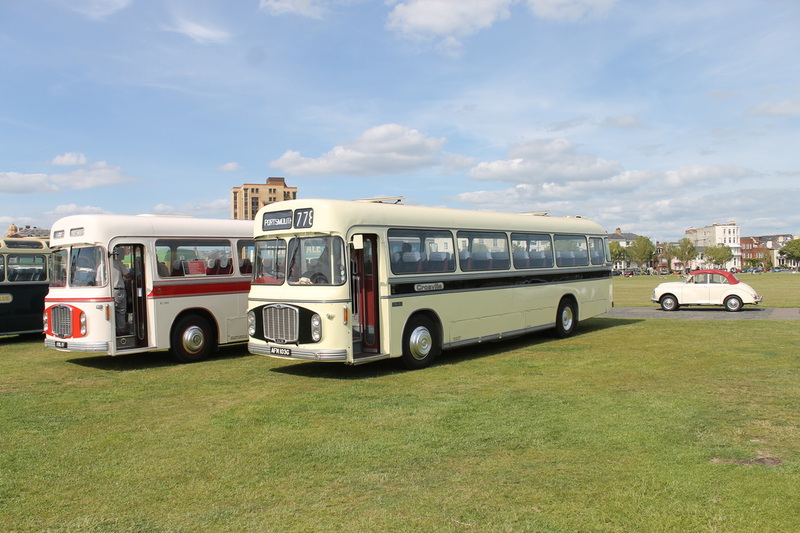 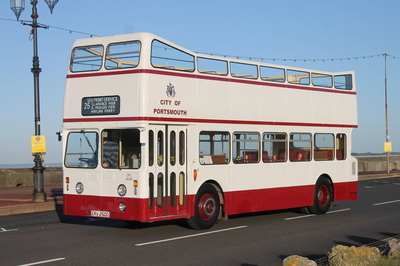 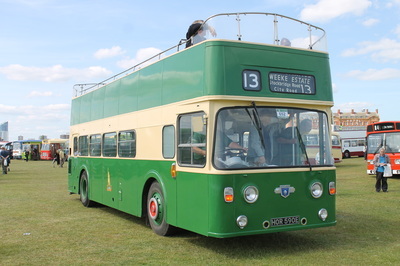 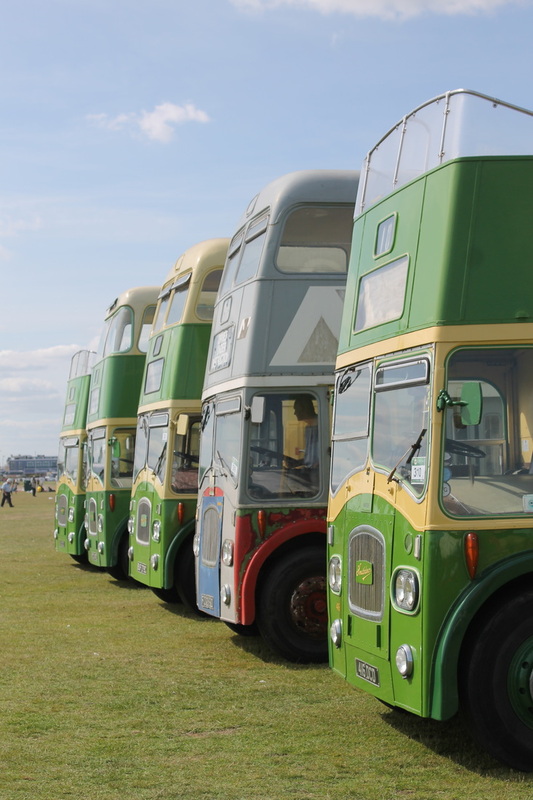 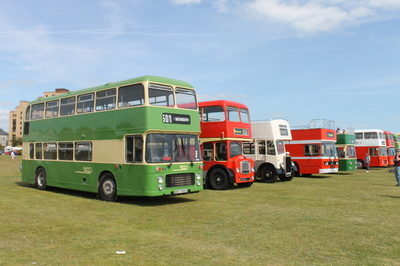 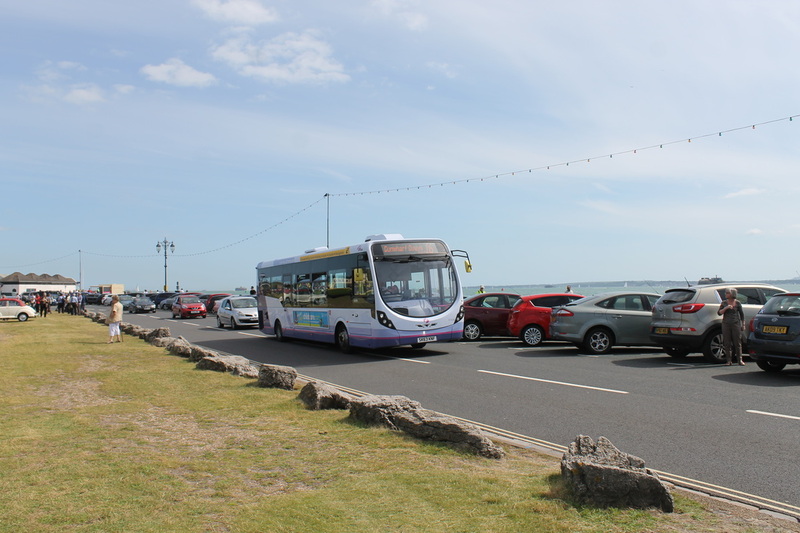 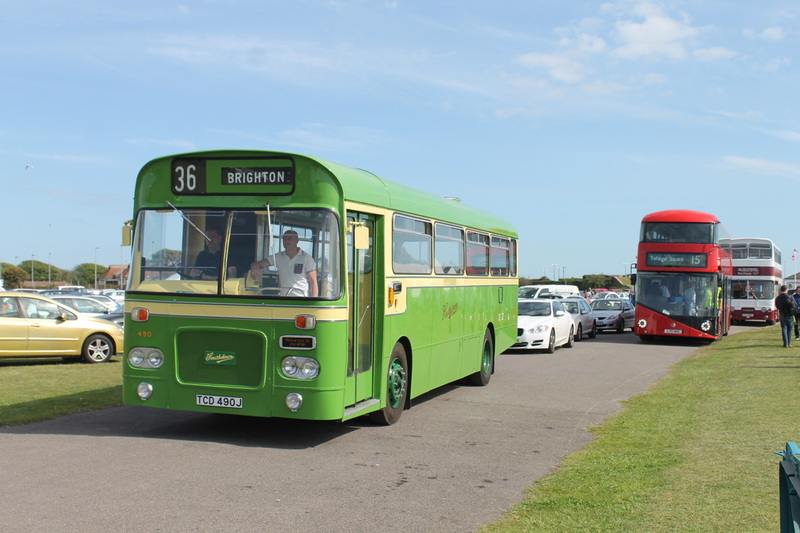 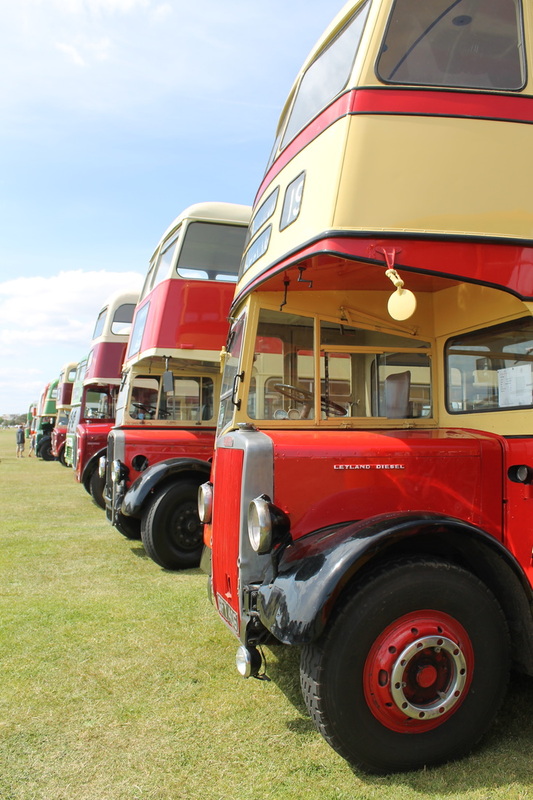 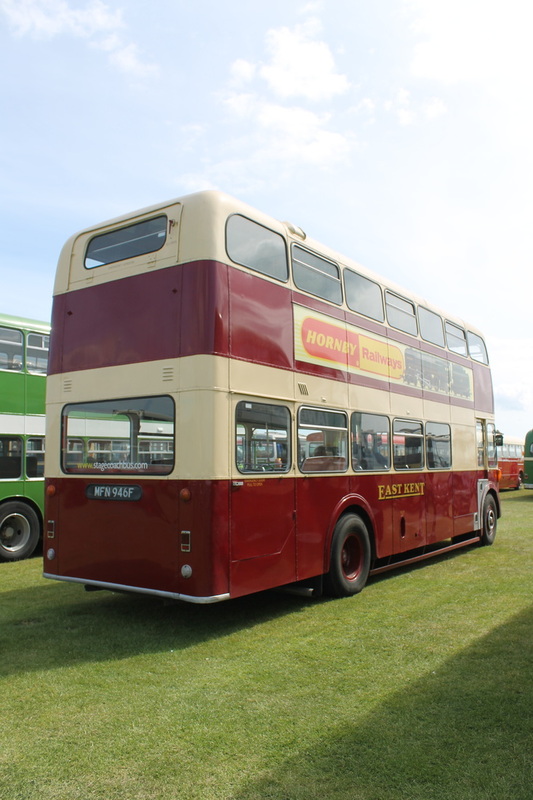 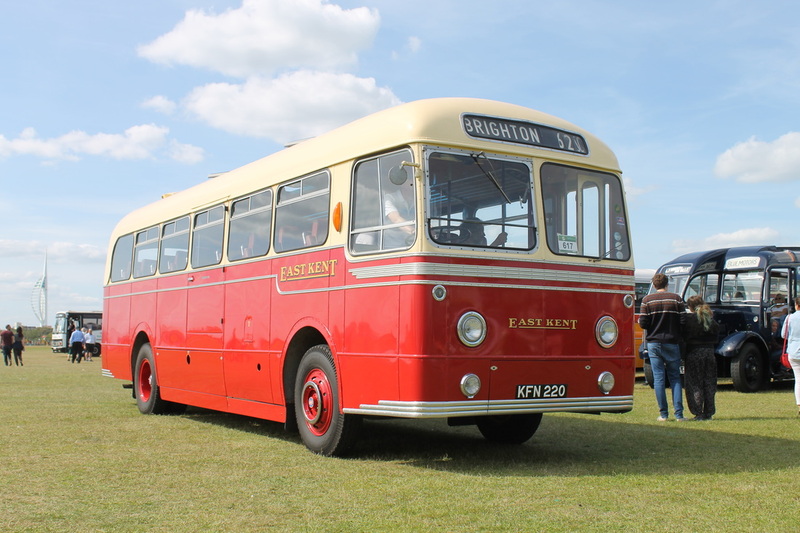 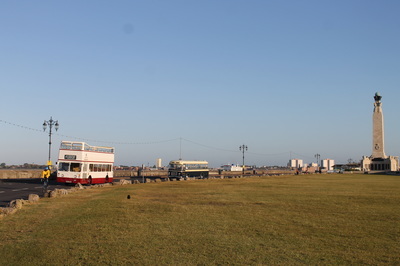 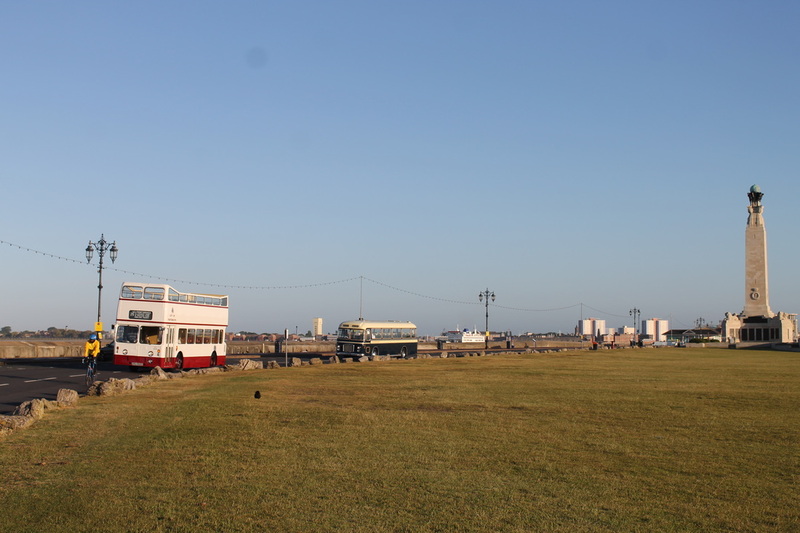 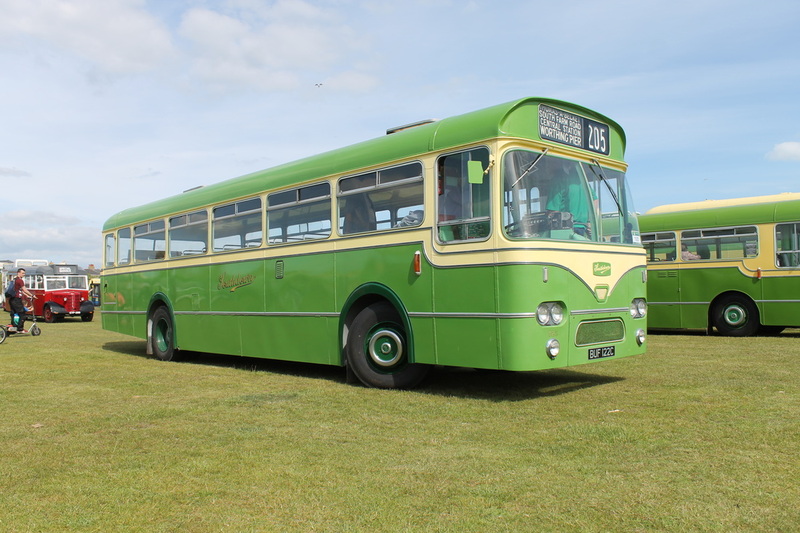 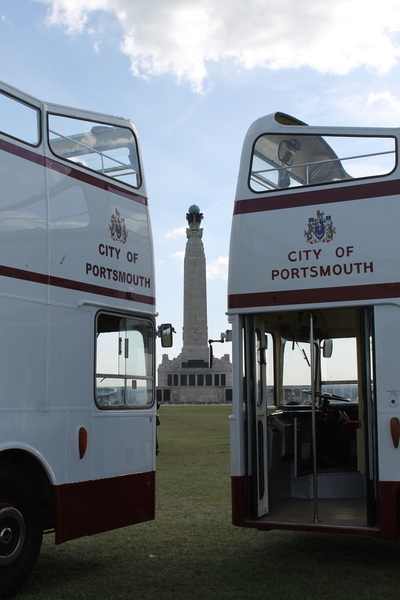 Free bus services using twenty vintage vehicles were operated between Southsea Common and The Hard Interchange and along the seafront to Eastney. 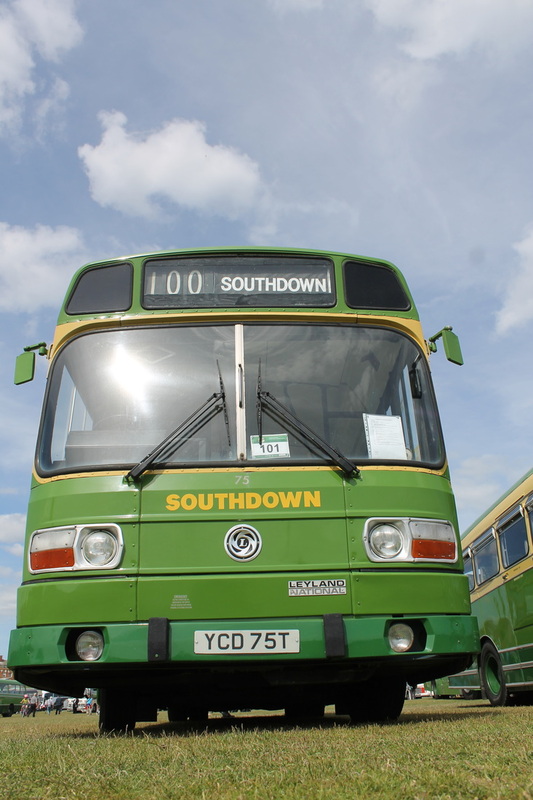 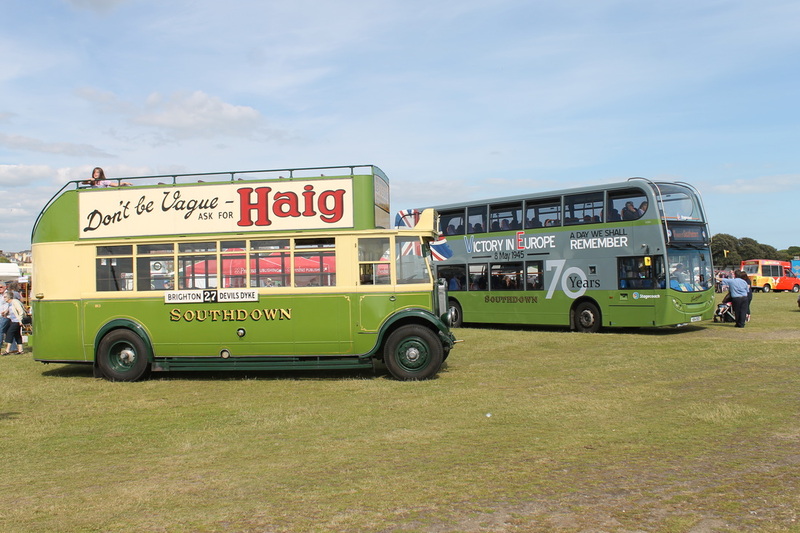 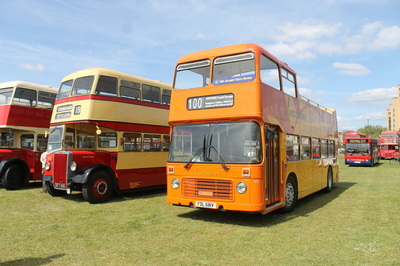 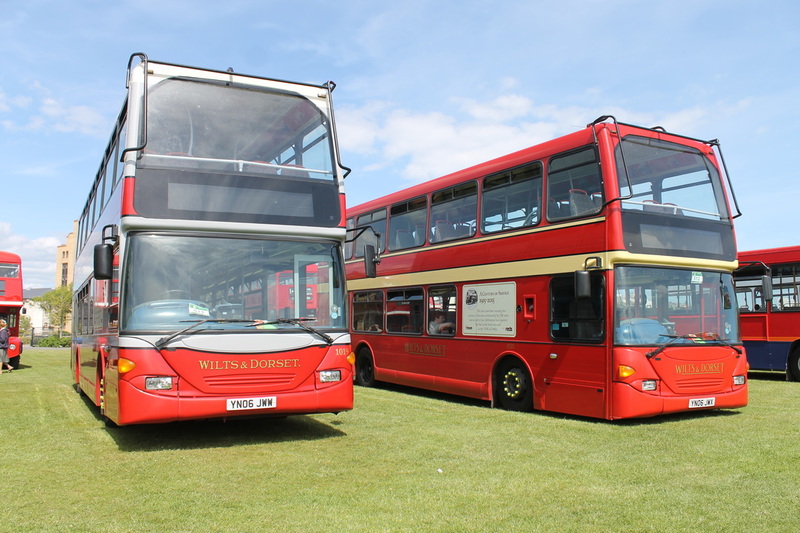 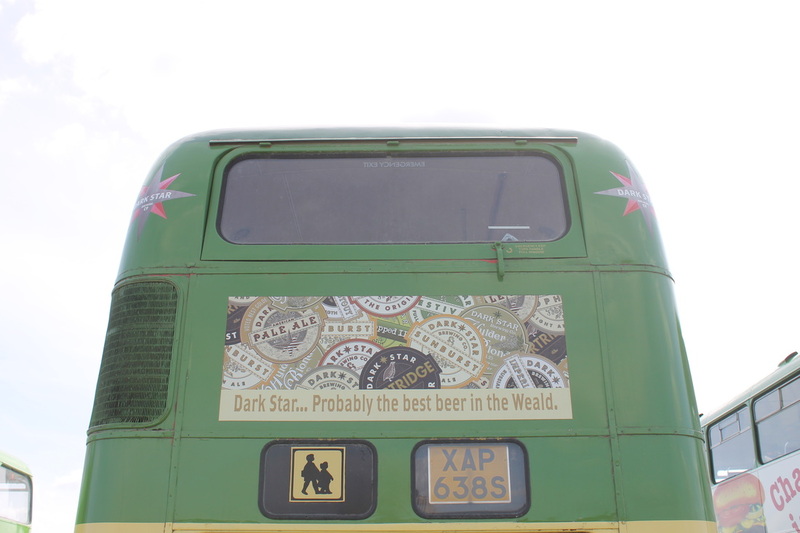 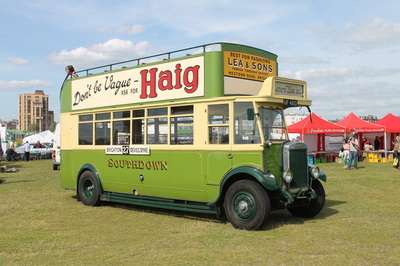 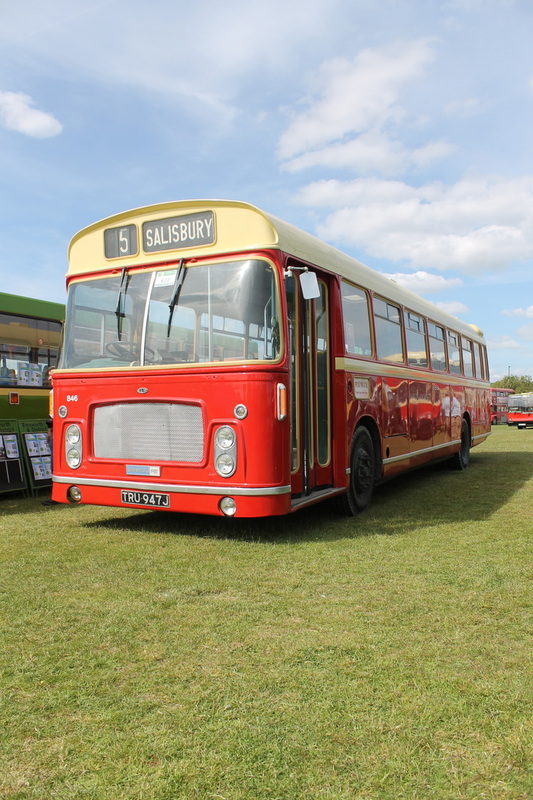 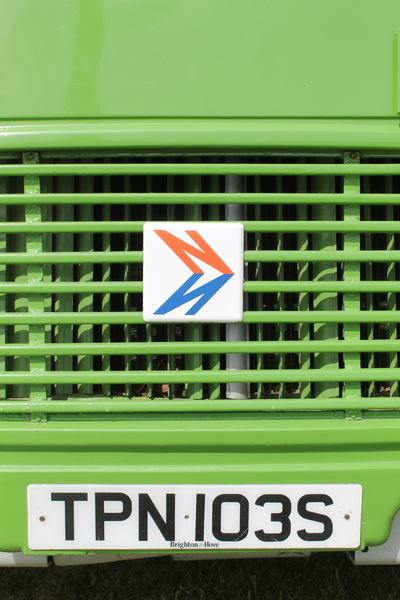 The event was organised by the Southdown100 Group in association with Stagecoach and the Southdown Enthusiasts Club. Southsea Common, the site of the very popular Southsea Spectacular Rallies of the 1970s and 1980s made it all in all a very special day as it has been twelve years since the last Southsea Spectacular Rally. 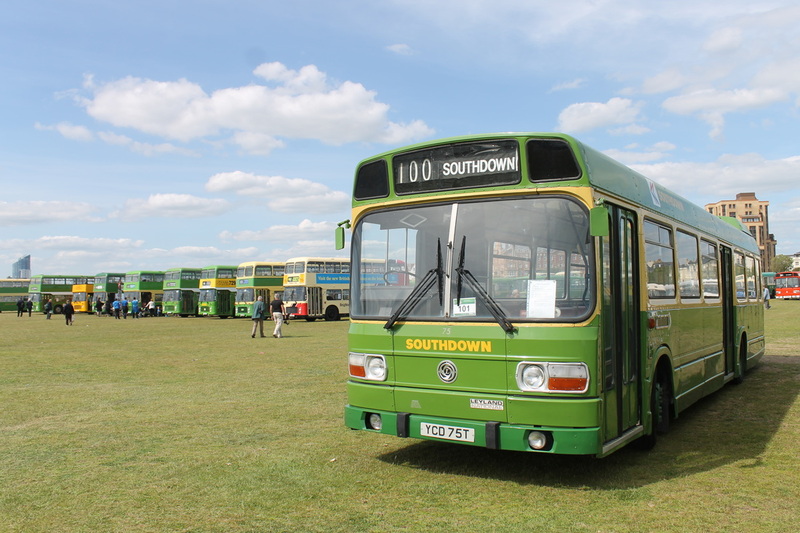 We are proud to be part of the Southdown100 Group and would like to thank you all for attending the event and we hope you enjoyed it!